Juneau – The Alaska House Majority Coalition will hold a press availability Tuesday morning at 8:30 a.m. to answer questions from reporters covering the 30th Alaska State Legislature. Participants will include Speaker of the House Rep. Bryce Edgmon (D-Dillingham), Majority Leader Rep. Chris Tuck (D-Anchorage), Finance Committee Co-Chair Rep. Paul Seaton (R-Homer), and House Community and Regional Affairs Committee Co-Chair Rep. Justin Parish (D-Juneau). Alaska is on the brink of economic failure as the budget deficit adds to thousands of job losses already resulting from loss of revenues caused by low oil prices and large cash subsidies to the oil industry. 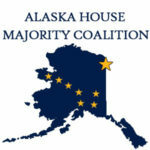 The Alaska House Majority Coalition was formed to save the economy and protect jobs. I wanted to give you a quick heads up that there will be an important opportunity this weekend to testify on legislation relating to oil taxes. Juneau – The Alaska House of Representatives today formally passed House Bill 2 to give private businesses in Alaska the ability to offer a hiring preferences for veterans of the armed services and members of the National Guard. The Department of Defense has prioritized the passage of this legislation in all 50 states. Video of the Alaska House Majority Coalition’s March 16th, 2017 press availability. 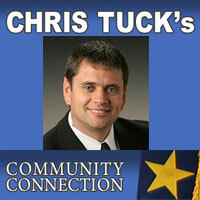 Video of the February 28th press availability hosted by Speaker Bryce Edgmon, House Majority Leader Chris Tuck, Reps Andy Josephson and Geran Tarr. 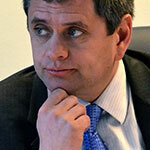 Things are moving fast in the 30th Alaska Legislature and there are often many opportunities to make your thoughts and opinions heard each week.